We loved the cake-thank you! 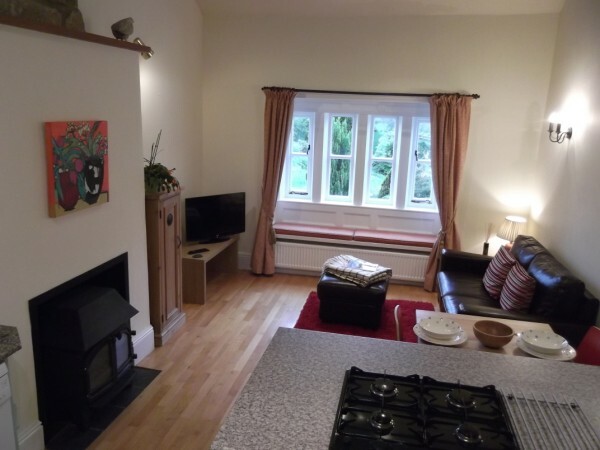 Very comfortable cottage, super kitchen for cooking in and great views. Recommend the pizza's at The Lamb on a Thursday night. Bay Horse very friendly good beer and cider. Great area for walking and cycling from. Heather on the moors looks fabulous in all lights. Definitely recommend the steam train, Top Withens, Stanza Stone and Saltaire. Reading through previous comments, there is nothing I can add. We have had a superb week in a wonderful cottage with everything we could have wanted. Thank you both. p.s. We love the chickens! One of the nicest, cosiest cottages we have stayed in and hope to be back again. Delicious cake and goodies, thank you. 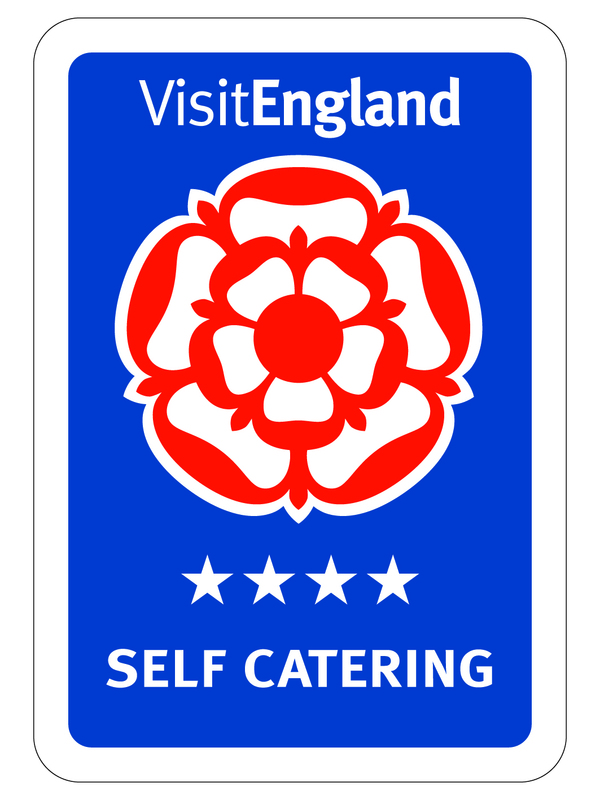 Yate Cottage is a Grade 2 listed luxury holiday cottage near Haworth, forming part of Yate House, located next to a small working farm and near to open moorland in Bronte country. Yate Cottage enjoys stunning rural views and has its own private garden. Yate House originally dates from the 16th Century; Yate Cottage was added in the 1770's when the house was rebuilt. 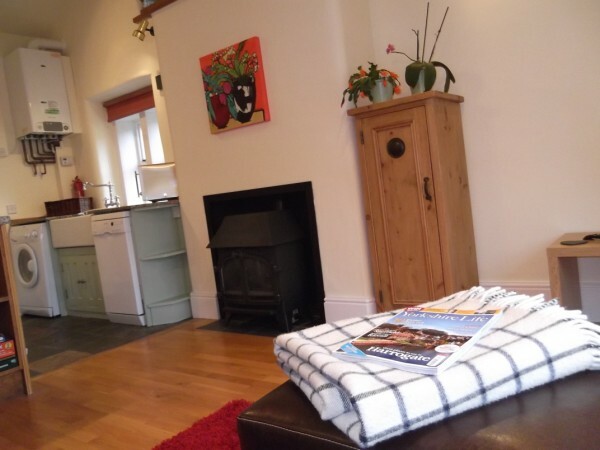 The cottage has now been converted into luxury accommodation for two. It retains many original features including mullioned windows, exposed beams and stonework. The cottage is approached from a narrow lane beside Yate House; parking is available at the front of Yate House. The Cottage has two shallow steps up to the entrance, with two further internal steps to the living and bedroom areas. 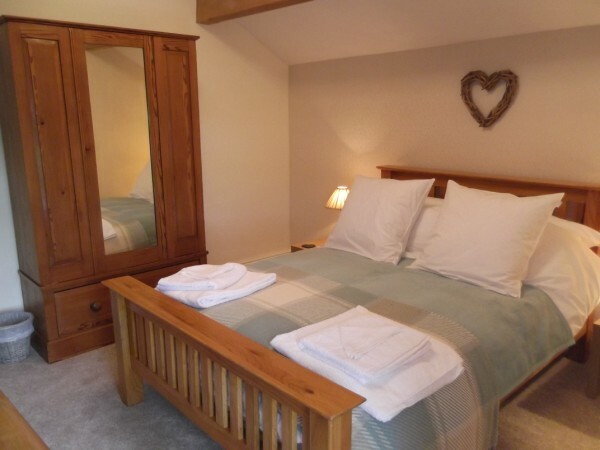 Yate Cottage offers cosy and comfortable accommodation for 2 adults; babies can be accommodated by prior arrangement.